These Mexican lasagna roll ups basically taste like enchiladas meet lasagna, and let me tell you it is a beautiful thing. 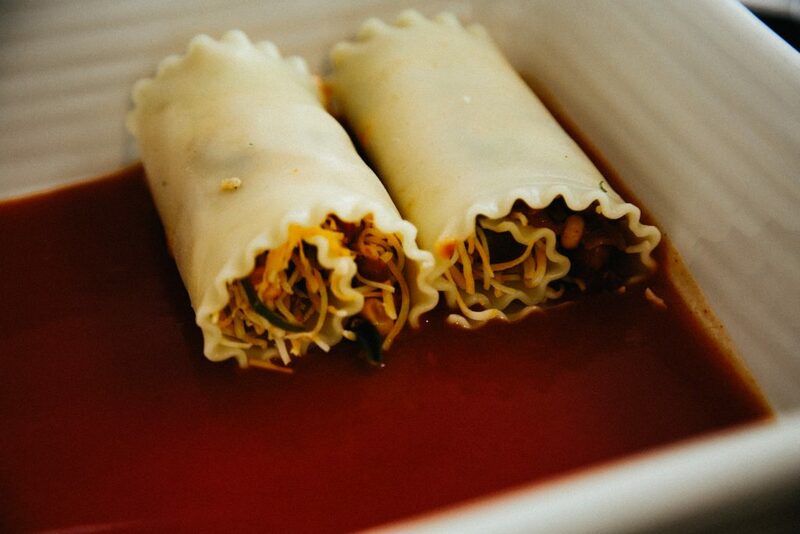 My lasagnas don’t ever turn out that great so roll ups are my “go to” fix! They are saucy, cheesy and easy to serve to a large crowd. I wanted to add a little bit of smoky flavor to this dish for some depth so I tried this new chipotle pepper powder but if you cannot find that, a spoon of chipotle in adobo sauce would be an easy replacement! Bring a large pot of salted water to a boil. 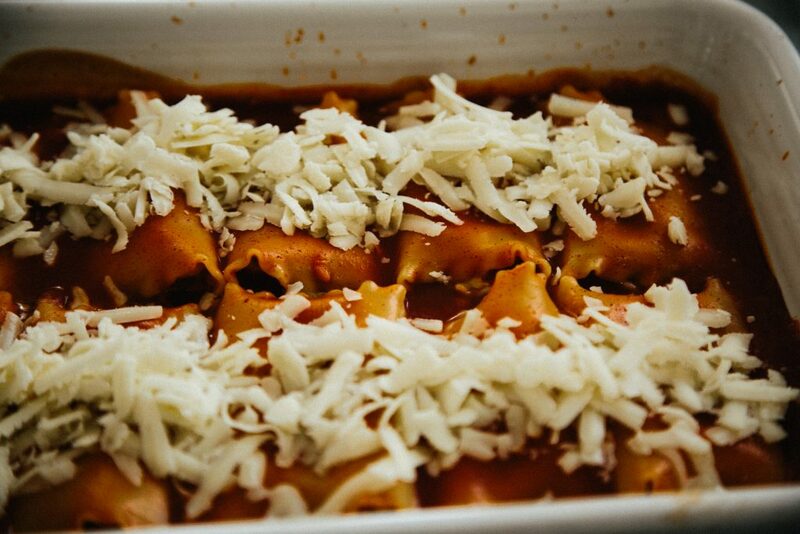 Add the lasagna noodles and cook until just short of al dente, about 4-6 minutes. Drain, rinse in cold water, and lay out on a work surface with a touch of oil to prevent them from sticking together. Heat a large skillet over medium high eat and add oil. Add cumin seeds and serrano peppers and let sizzle. 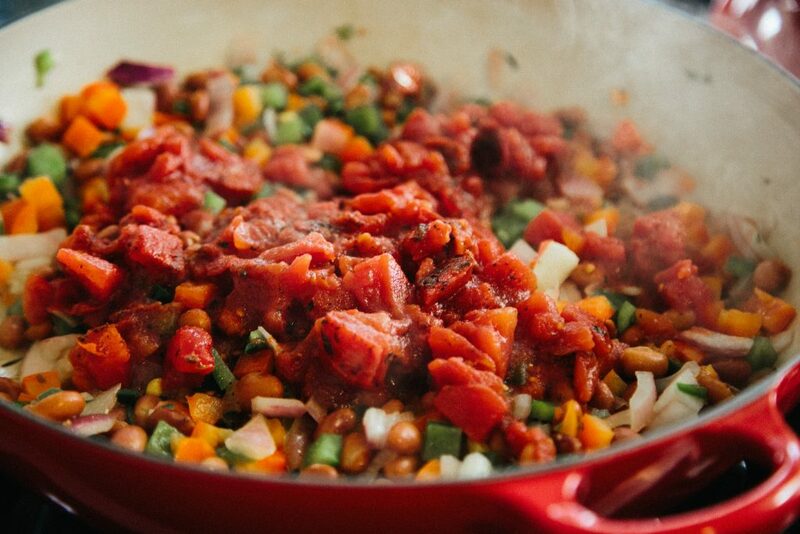 Add onions, peppers, beans, corn, tomatoes, and rest of dry seasonings. Cook for about 10 minutes, covered, on medium low heat, stirring continuously. 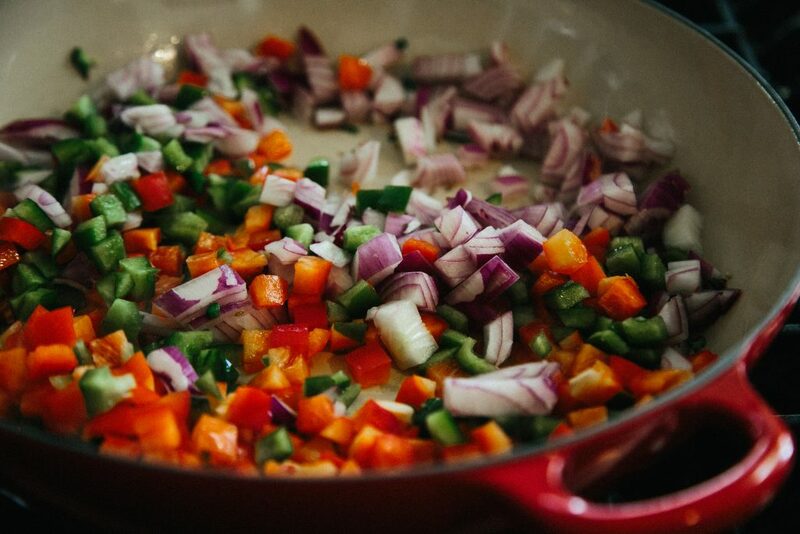 Add garlic and continue to cook for another 7-8 minutes uncovered until all veggies have softened. Pour 1 can of the enchilada sauce in the bottom of a 9 inch or 13 inch baking dish. 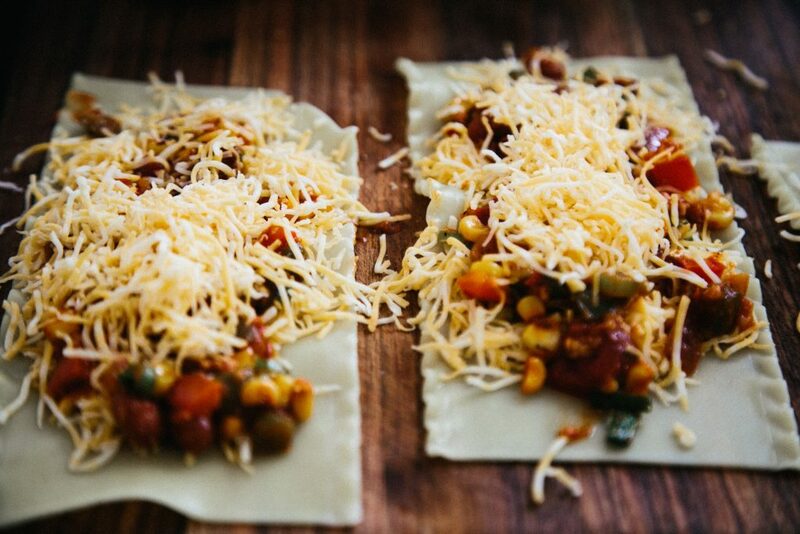 Spread each lasagna sheet with shredded cheese, top with bean and veggie mixture evenly, top with more cheese and gently roll up. Place all the rolls with the open flap side on the bottom of the baking dish. 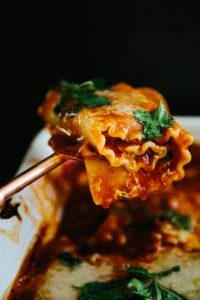 Once you have finished rolling all of the lasagna sheets, top the rolls with two more cans of enchilada sauce, add shredded cheese and bake for about 20 minutes or until the lasagna sheets have cooked through and dish is bubbling! Serve hot with a a garnish of chopped cilantro and a dollop of sour cream. Yes they can! Just keep them refrigerated and then bake them the next day! 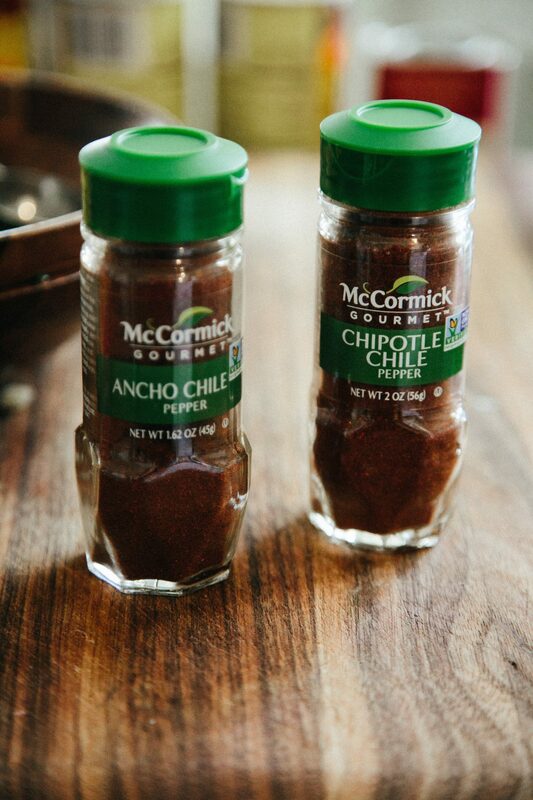 I see a picture of ancho chili pepper powder but don’t see it in your ingredient list – how much should I add? Thanks! What kind of cheese do you use? And how much? Hey, I updated the recipe with the amount of cheese, sorry! I use mexican blend cheese, about 2 packages which is 16 oz. 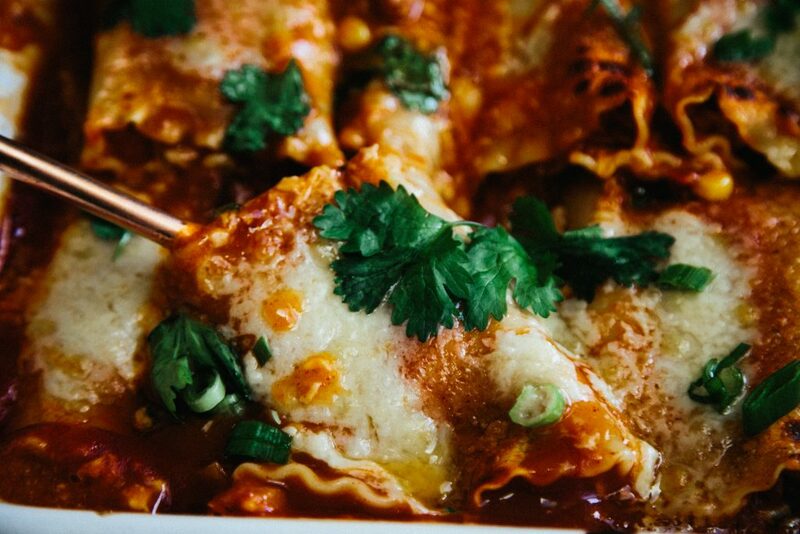 Is that mozzarella on top of the lasagna rolls? It looks good when it’s melted and I guess it complements the lasagna part of this dish! Thanks for stopping by my blog!! 🙂 The cheese on the roll ups is actually white cheddar! I had so much leftover so I decided to use it on top for some browning (makes for better photos!). You could definitely use mozzarella on top of this though, great idea! Hi! This looks so good! 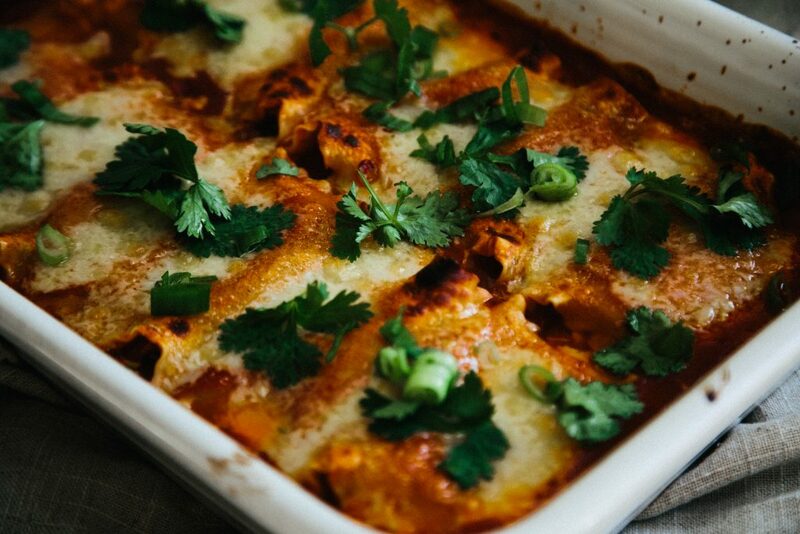 Any recommendations for your favorite canned enchilada sauce? Hey! I always use Old El Paso! 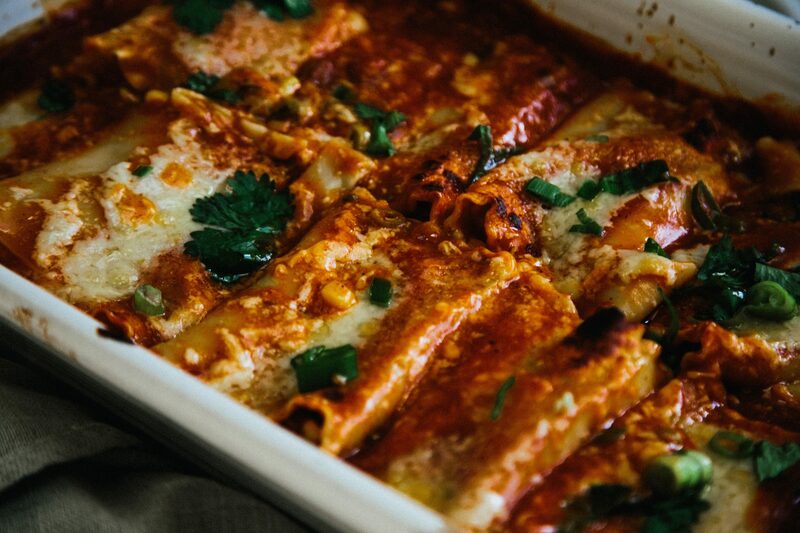 can you use the tortilla instead of pasta sheets? Okay thanks! I will try that this weekend. Hey, what can you use to substitute for the roasted tomatoes? 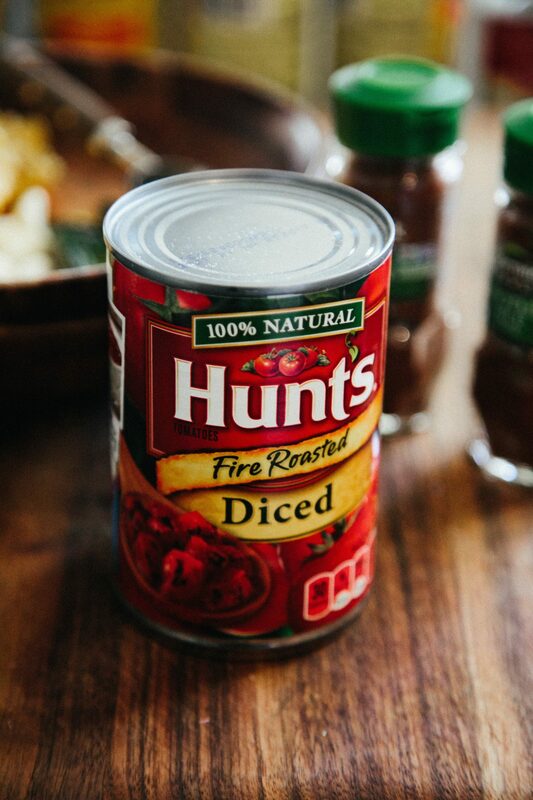 You can just just regular fresh diced tomatoes.